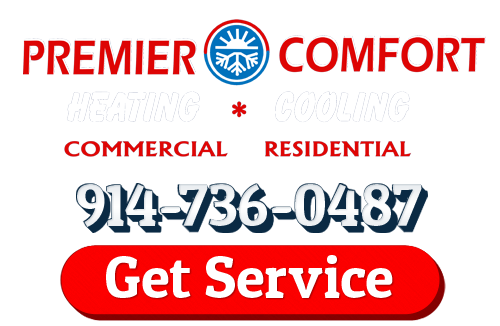 Premier Comfort is the most trusted, dependable, and experienced Westchester Heating & Air Conditioning Company. We’ve been providing services for heating and air conditioning systems to home and business owners in the Westchester area since 2008, and we’re the company that homeowners turn to most frequently. That’s no accident: at every job that we perform, we make sure that our customers receive the absolute best workmanship possible, as well as the most professional customer service. Our Westchester heating contractors know how important your heating and cooling systems are to you and your family, so we always guarantee 100% satisfaction with all of the work that we provide. We know that our success depends on your satisfaction, so our first priority is always making sure that you receive the highest quality services. During the hottest parts of the summer months in Westchester, your cooling costs account for a huge portion of the energy costs of your home. Two of your main priorities during this time are keeping your home cool and keeping your cooling costs low—and fortunately, the professionals at Premier Comfort can help you achieve both. Regular tune-ups of your air conditioner will ensure that it’s always running efficiently, so it won’t have to use as much energy to cool your home. Your home will be kept cooler than ever, and you won’t be paying nearly as much money to keep it that way. When you need any heating repairs in your home, it can turn into an uncomfortable and inconvenient situation very quickly. When the temperatures drop low enough, it can be much worse of a situation than that—often, problems with your heating can turn into a matter of health and safety. Our professional heating repair technicians understand how important heating is to your home and your family, so we’ll always respond to any requests for service as quickly as possible. We’ll quickly and accurately assess the problem, diagnose it, and repair it so that your heating unit works as well as possible and you don’t see problems cropping up in the near future. Most people end up spending around 90% of their lives inside their homes, so if your home has poor indoor air quality for any reason, it can cause a number of horrible health problems. In children and elderly people, poor indoor air quality can easily lead to the development of chronic respiratory illnesses, and it can always trigger and exacerbate allergic or asthmatic symptoms in even the healthiest of adults. Our professionals offer several air cleaning services, and we can help you make sure that you and everyone in your home is as safe and healthy as possible. At Premier Comfort, we work hard to form professional relationships with all of our clients so that we can provide the absolute best services possible to you. Of course we want to provide the best possible workmanship—heating and air conditioning repairs—to all of our customers, but we’d also like to be sure that we’re giving you professional customer service that you trust and depend on. Our technicians will treat your home with respect, and we’ll do whatever it takes to guarantee your 100% satisfaction with our services. If you are looking for a Westchester Heating & Air Conditioning Company then please call 914-736-0487 or complete our online request form.